The runway is an amazing source to turn to when searching for interior design inspiration. 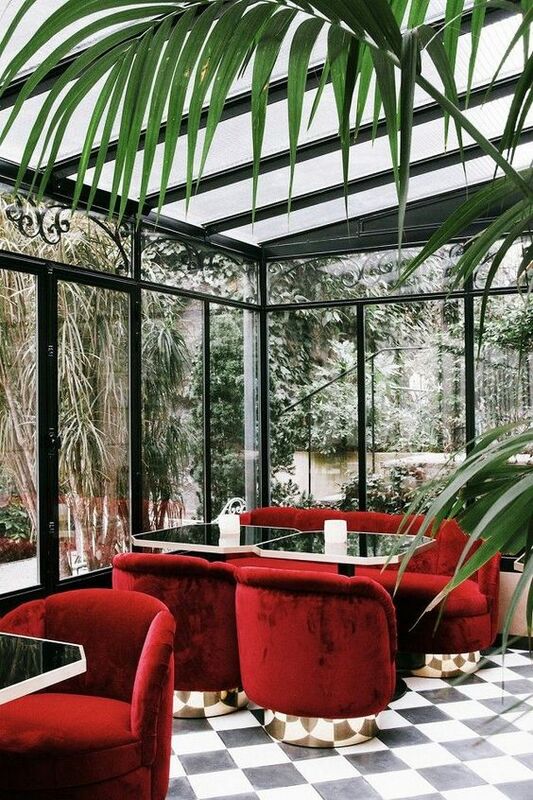 There is an undeniable correlation between interior design and fashion. Both fashion and interior design are a form of self-expression and undoubtedly play off of each other. As New York Fall 2018 Ready-to-Wear fashion week winds down I’ve rounded up some of the boldest statements to look forward to in 2018 in both fashion and interior design. The idea of relaxed glamour was in full effect at 2018’s NYFW. Brandon Maxwell’s collection was filled with this contrasting style. One of the looks in the show, shown above, most perfectly embodies the idea of relaxed glamour by pairing a couture-esque skirt with a plain white t-shirt and furry slides. The juxtaposition of naturals and metallics, and the contrast of structured and casual make a lovely combination. 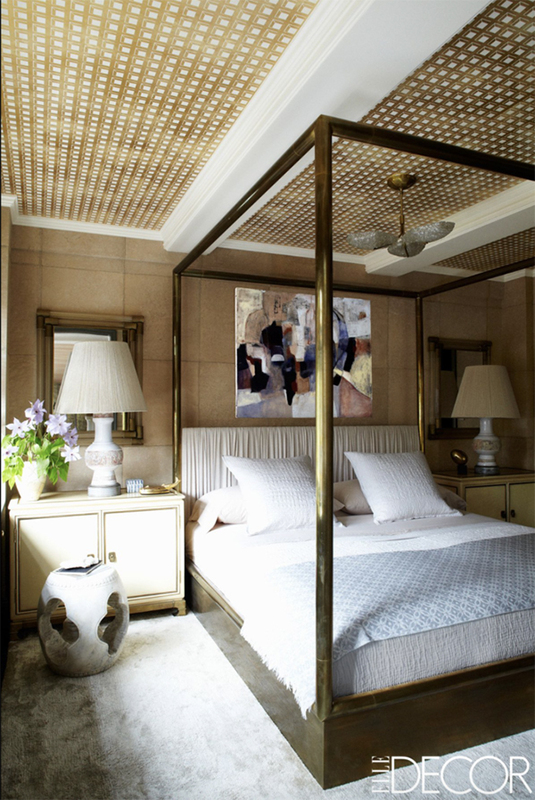 The bedroom above by designer Kelly Wearstler is a great example of these combinations in interior design. Mustard yellow is always an unexpected color in fashion and design, yet Bottega Veneta executes a gorgeous mustard gown that is so luxurious. When styled properly mustard yellow can be the highlight of a tropical-feeling, yet glamorous space like in the look above. 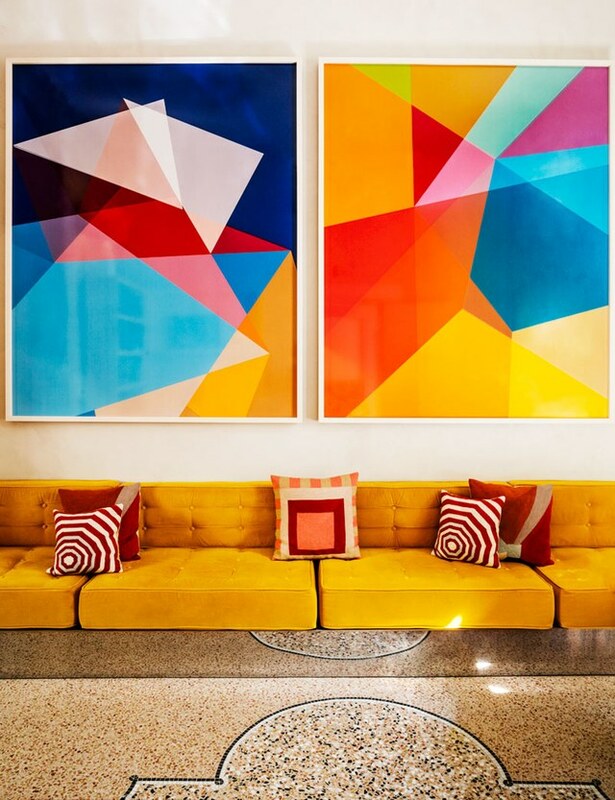 Risk-taking interior designers like India Mahdavi have been fans of using mustard yellow in design, as demonstrated by Mahdavi’s retro-inspired luxurious seating area (shown above). Another color of the year, Caliente, named the color 0f 2018 by Benjamin Moore, also has a major presence on the runway and in interior design. Christian Siriano opened his show with this statement-making color (shown above). Caliente is being seen on the walls of homes, as well as on rich velvet fabrics like in the chic Parisian lounge above. Caliente is a perfect color choice for somone wanting to make a statement with their decor. Romantic Victorian style is making a major comeback in the interior design world, but also on the runway. The soft composition of understated floral patterns is nicely juxtaposed against a more structured and masculine silhouette as seen in Zimmerman’s stunning suit pictured above. The dramatic stairwell in the interior design shown above has the same contrast of bold and structured, through the geometric floor and pop of yellow vases, all showcased against the delicate Chinoiserie wallpaper. The combination is beautifully timeless. 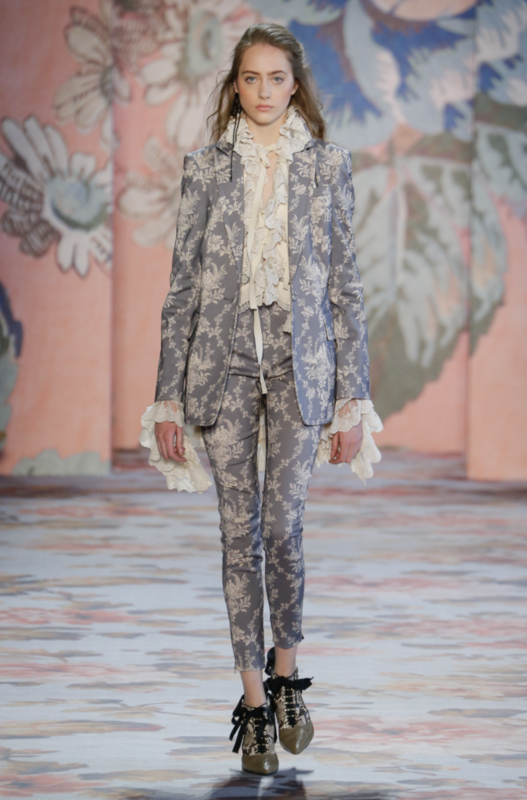 Victorian florals and Chinoiserie prints are the ultimate feminine patterns for those of you looking to mix things up with an ultra-feminine look. Proof of interior design’s influence on fashion was highlighted in one of New York Fashion Week’s top shows. Pantone named Ultraviolet the “color of the year” for 2018 and NYFW designers definitely took notice of the popular hue. 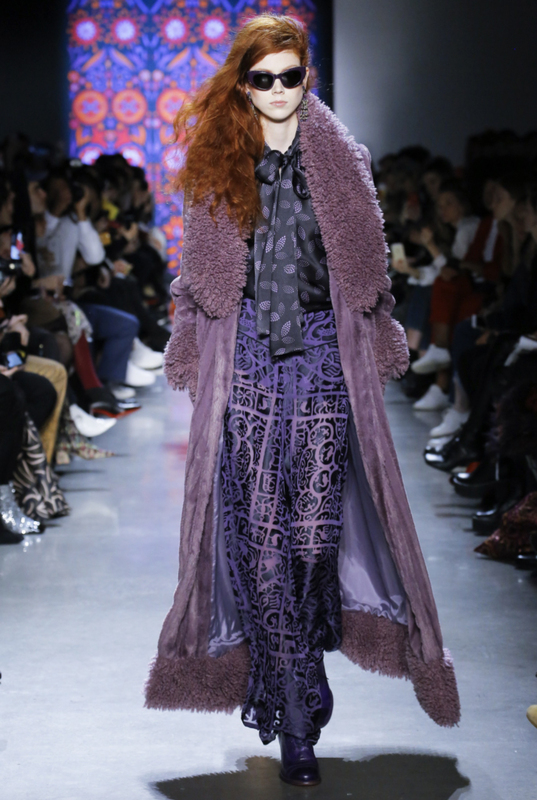 Designers like Anna Sui provided a modern twist on the color by pairing it with closely related lavender shades making it borderline monochromatic. Interior design has been a fan of ultraviolet and also tends to pair the color with other purples such as the library by Nathan Turner above. For someone who is looking for subtle ways to incorporate the color into their home, try using ultraviolet pillows for a pop of color. Overall, it’s an exciting time in the design world for both fashion and interior design. Designers this 2018 are making bold statements, working with unexpected patterns and color combinations, and inspiring us all! What is your favorite trend from NYFW?